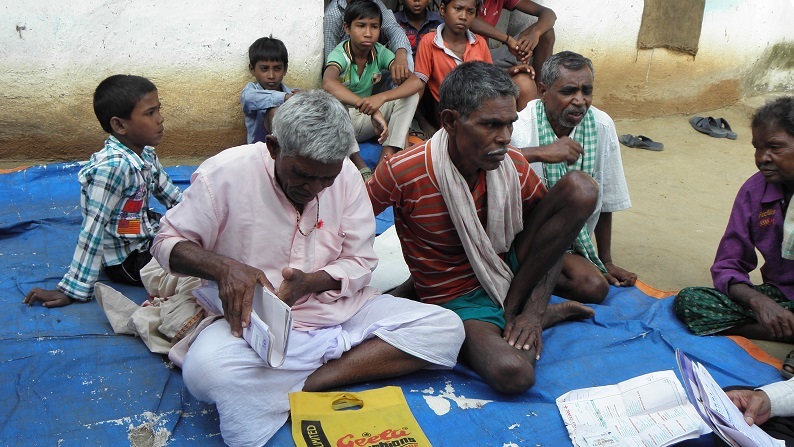 Over the years that we have worked in Western Odisha, a particular issue emerged which has shaken us – the high incidence of Chronic Kidney Disease (CKD) in about 20% of our project villages. It mainly affects men of working age. No one knows the cause or the reason, and there is no cure. By the time it is diagnosed, those affected will already be unable to work. Families mortgage their land to cover costs of visits to the doctor and medicine, often over the average income. Once the money has gone, they borrow, till they are no longer able to. When the patient dies, they leave behind a family in debt and long-term poverty. We have been seriously shocked by the impact this issue has for people who are already desperately poor. It affects one or two other areas in Odisha, a few other places in India, and also elsewhere in the world. Research is being carried out, but as yet little information is available. IVDT is too small to carry out medical research, but we fell there is still a great deal we can do. especially for the villagers who are or might be affected by the disease, and we are very grateful to The Funding Network, Gillie Howarth, and other donors for making this work possible. Working with the twenty most seriously affected villages in our project area, identify the scale of the problem, so that it is possible to provide the necessary support to those affected, and to further understand the possible causes of the disease. Information from our study will be passed to international researchers to help in their work. Raise awareness of the disease, amongst the villagers, their representatives, health workers, government officials, Self-help Groups, and other NGOs. The programme will ensure that everyone who is entitled to help, or responsible for provision of services, understands clearly their entitlements and duties. and also at state level, working with other activists and organisations from affected areas and on related issues such as fluorosis, to ensure research is carried out, and proper policies are put in place, implemented and monitored. One of the key factors that keeps on emerging is contaminated drinking water. We have therefore decided to run another project in parallel with CKD Action, and this will be to provide safe drinking water to everyone in the affected villages. We are received funding from Quaker Relief Grants, and other Quakers for this separately from the CKD Action Project, but the two will run in parallel. This aspect of the work is called A CLEAR SOLUTION. Clean drinking water is a basic human right, and the Indian government has a legal obligation to ensure that everyone has access to it. It patently fails to do this, as many of our project villages show. We will be testing water for heavy metals (some of which might contribute to CKD) and other contaminants, and will use the data as part of our campaign for the government to carry out its responsibilities in providing this basic human right. We hope it might reduce the incidence of CKD, but, regardless of whether or not we eventually discover that this is the cause of CKD, it is something worth doing in its own right.